ShowMe — Malik Media | Branding. Marketing Strategy. Design. 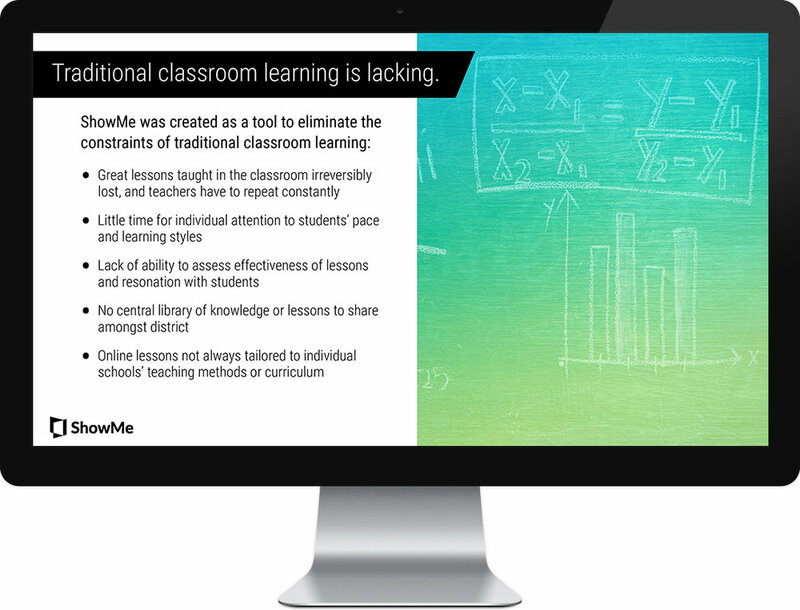 ShowMe is an EdTech application that allows teachers to create and record lessons from an interactive iPad whiteboard. 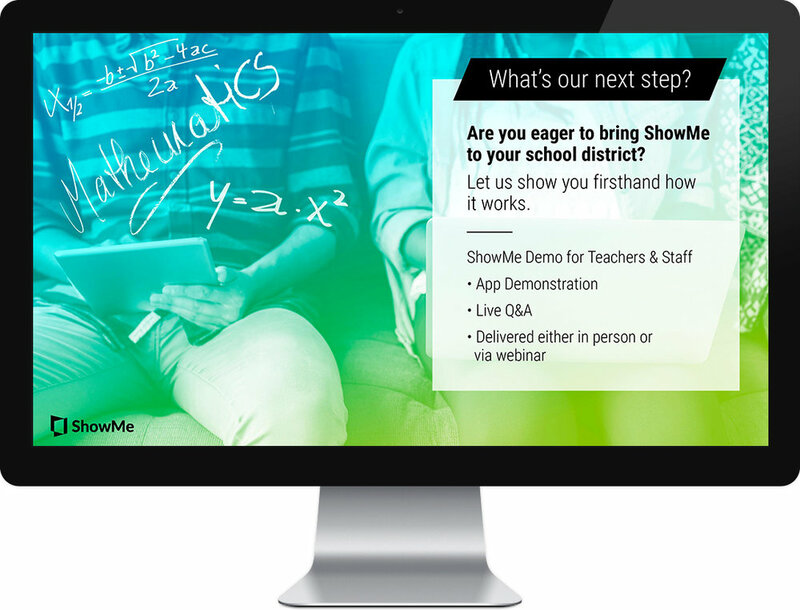 With over 11 million active teachers and students, ShowMe approached us after developing an Enterprise plan that would allow them to sell their service to entire school districts as opposed to solely individual teachers. In order to get school boards to approve of the expense, they needed a tool to accurately portray the power and results of their solution in sales meetings. 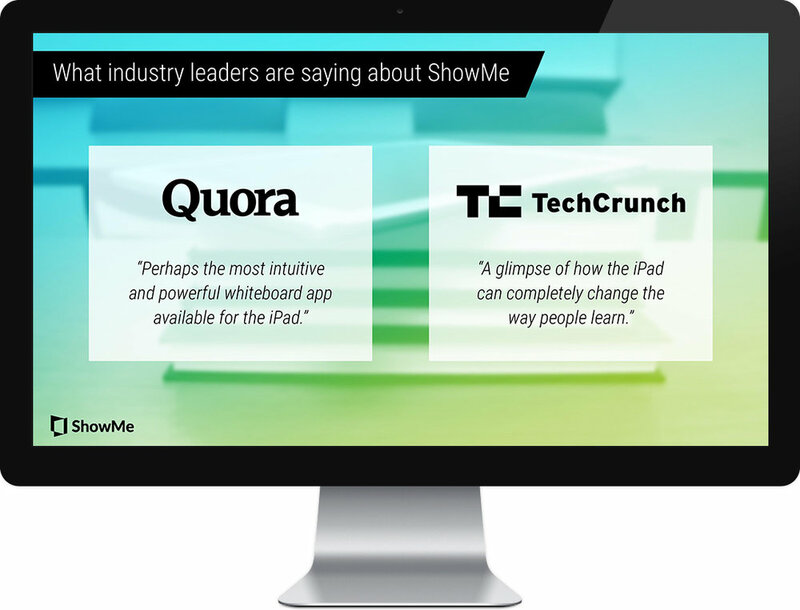 Taking a strategic approach to our work with ShowMe, we began by revamping the messaging in their existing deck. 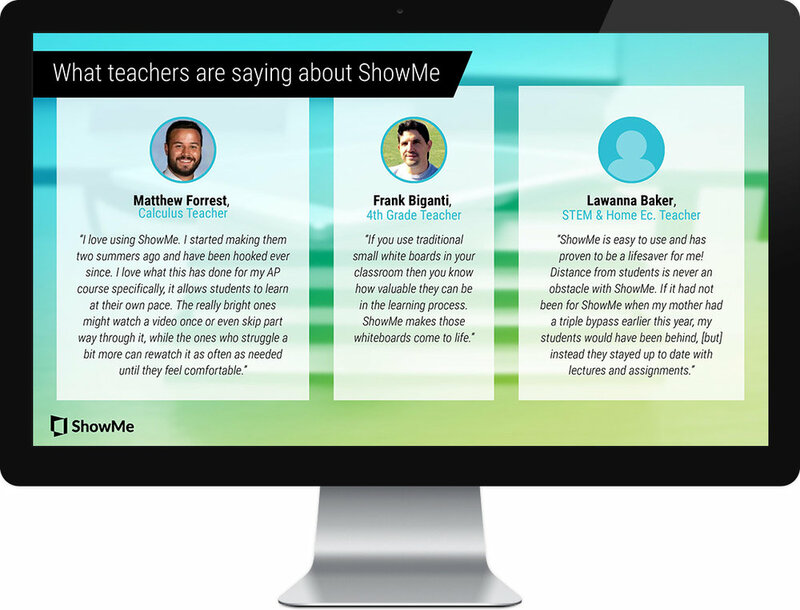 Rather than focusing on the app's features alone, we rewrote their copy to highlight the story of ShowMe, the problems it solves for teachers, and the concrete results they've gathered from the millions of teachers currently using ShowMe with their students. We knew the key to influencing school administrators or boards to purchase a subscription was by leveraging support from individual teachers, and we helped them frame their content accordingly. After this, we turned the content into a beautiful slide deck for their sales team to utilize during meetings and/or calls. “While discussing our project with the Malik Media team, I felt like I was brainstorming with my own team, only with a deeper level of expertise in marketing and branding. With the marketing materials we obtained during our collaboration, we were able to achieve fundamental sales milestones for our company, and we even utilized some of the assets in completely different channels, something that was not planned in the first place.